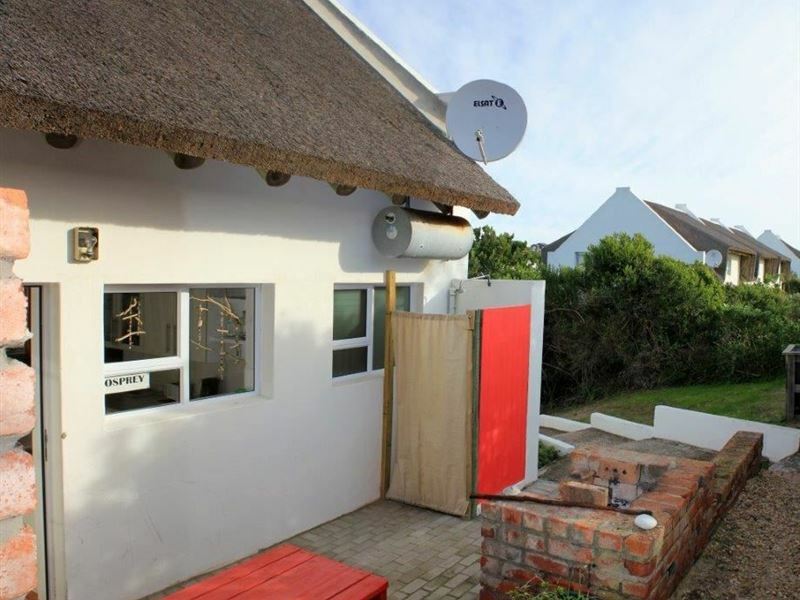 The newly refurbished two-bedroom thatch duplex is located in a secure resort in Cape St Francis. 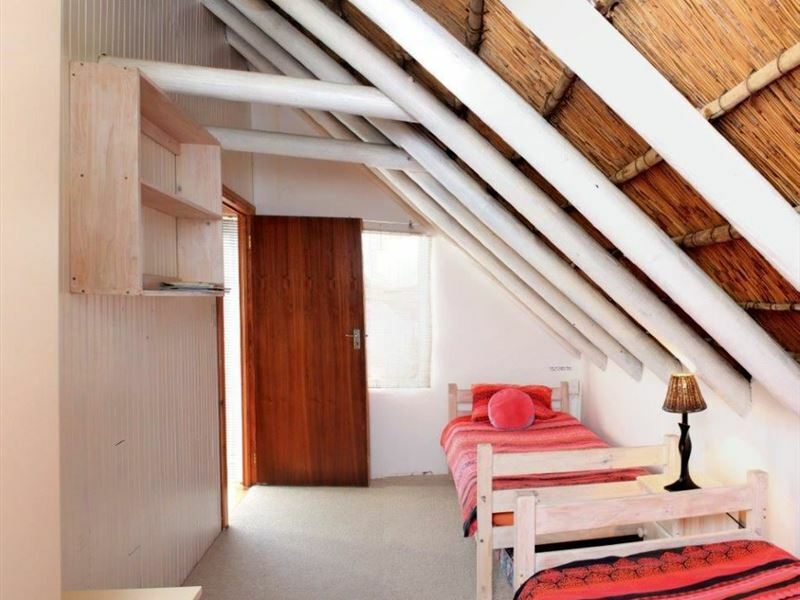 Cape St Francis is the ideal place for someone who wants a traditional holiday at the coast and has its own unique atmosphere and characteristics. 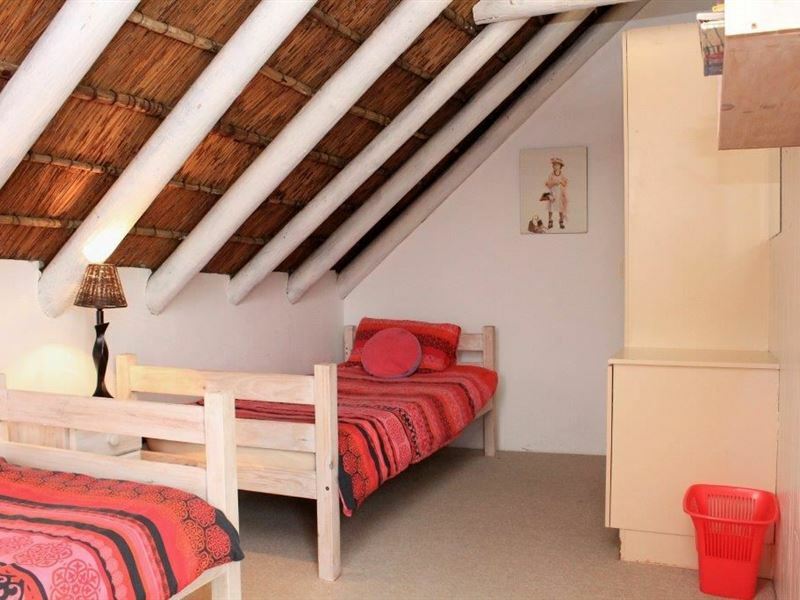 Osprey Self-catering Cottage is a short stroll away from the beach and the cottage sleeps four people comfortably. Children are welcome. 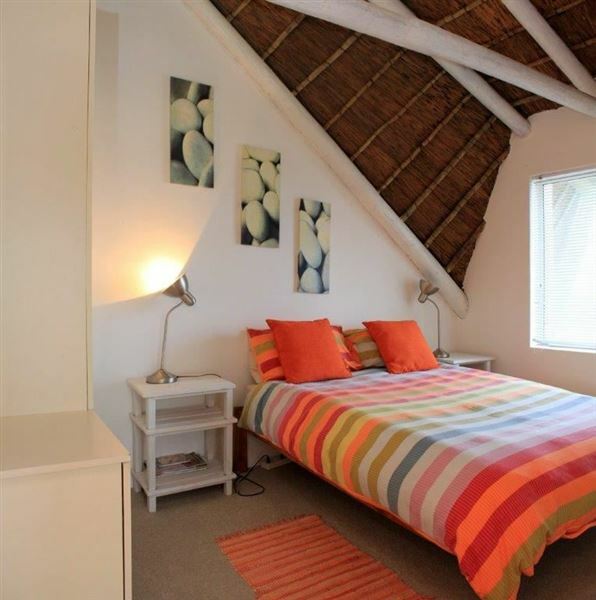 The two bedrooms are located upstairs and the main room has a double bed. The second room has two single beds and both rooms have built-in cupboards. All bedding is supplied; please bring your own beach and bath towels. 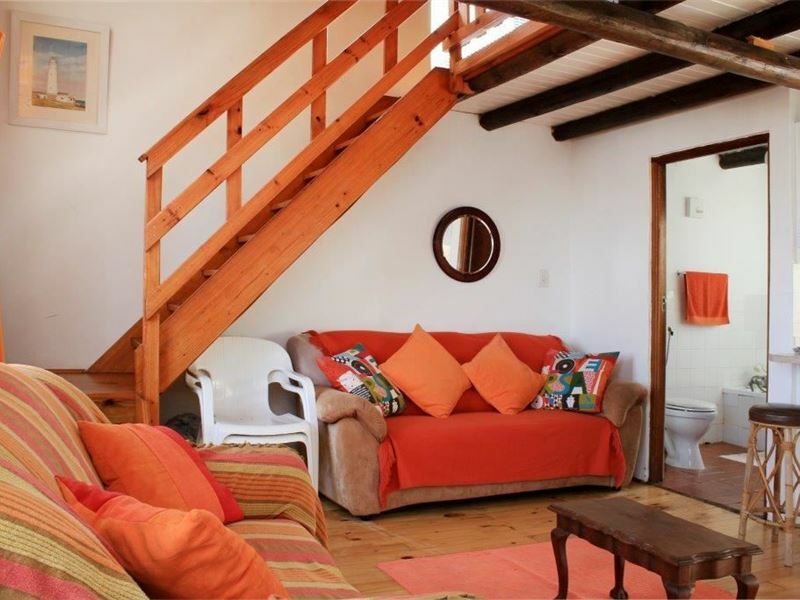 The two rooms share the use of the downstairs bathroom which has a bath, a toilet and a basin. The upper deck offers great views and is perfect for soaking up the afternoon sun. 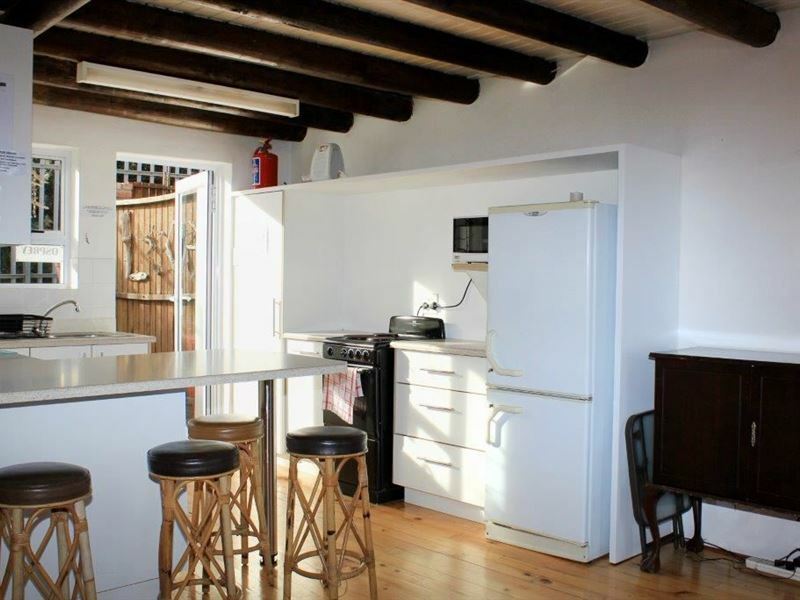 The fully equipped, open-plan kitchen is located downstairs and leads out to a courtyard, which has a barbecue area and an outdoor hot shower. A TV with local channels is available and DStv can be viewed, but guests need to bring their own decoder. The lounge leads onto the bottom deck with partial sea views. 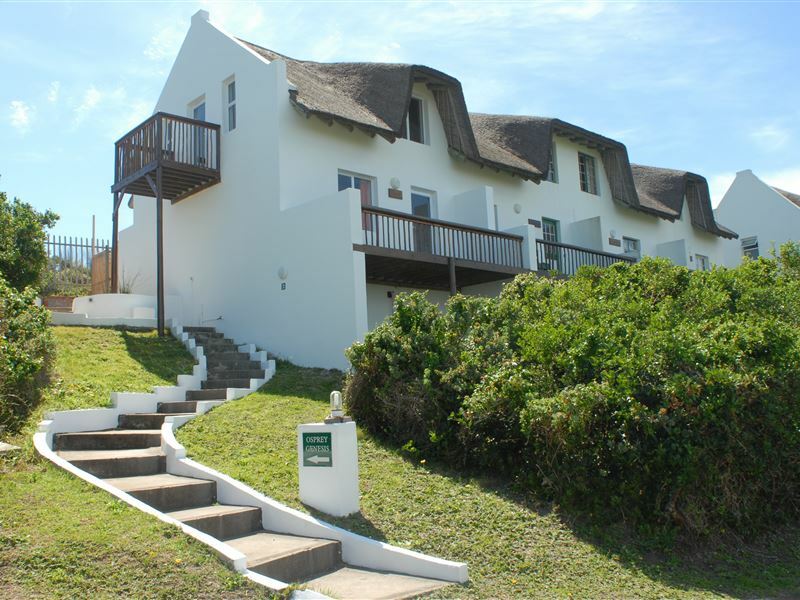 Cape St Francis is an unspoilt coastal holiday village surrounded by nature parks and miles of magical beach. The lovely Cape St Francis Lighthouse or Seal Point Lighthouse was built in 1878 to warn ships of the dangerous reefs that stretch more than a kilometre out to the sea. It is the tallest masonry tower on the South African coast and stands at a height of 27.75 m. Next to the lighthouse there is a marine bird rehabilitation centre which provides treatment and temporary care to injured, displaced or oiled marine birds. The prevailing wind ensures good surfing, which is why the famous Seal Point surfing spot is located here. There are many nature trails that offer delightful, non-strenuous walks. The closest airport is in Port Elizabeth and St Francis Bay is 7 km and has various shops. 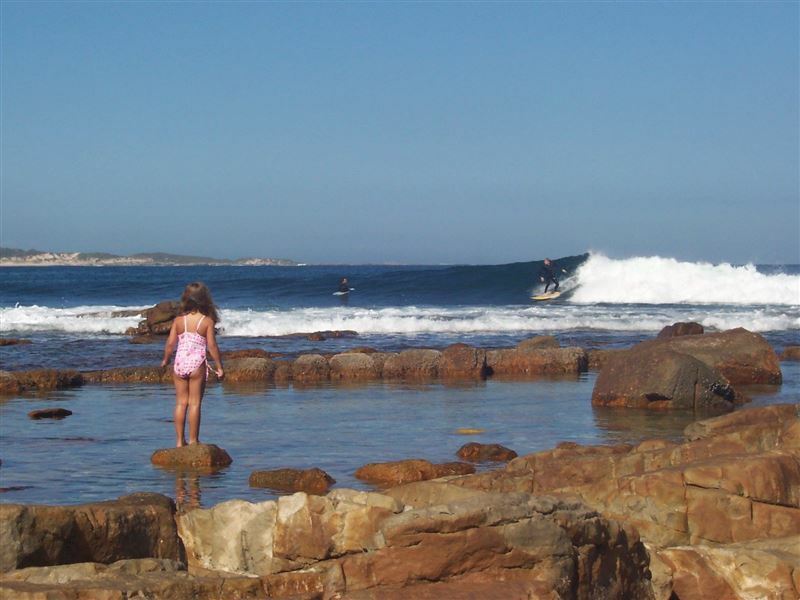 Jeffreys Bay and the famous super tubes surf spot is 25 km away. "We enjoyed our stay very much and would go again. The unit was very clean and cosy. The resort has a very relaxing atmosphere and the security staff very friendly. Thanks again." "We enjoyed our stay at Osprey Self-catering Cottage very much. It was very special that I could bring my little dog along and not leave her at a kennel. Thanks again!" "Very nice and clean. Only negative comment was that we would have preferred a shower indoors and the television did not really work properly. The utensils for the stove were very sparse for grilling etc." 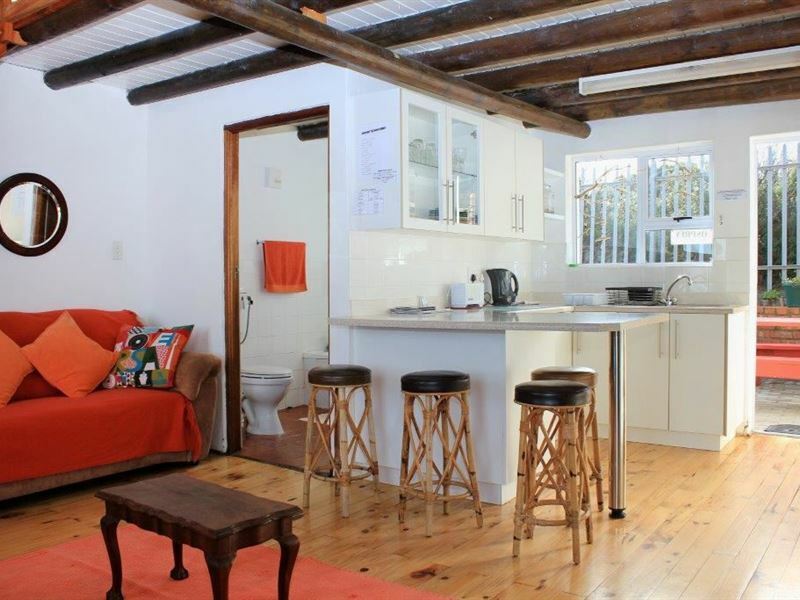 "Whilst Cape St Francis is a fabulous destination , there was nothing about this cottage to really make us want to go back there. We did not realise from the description that is was semi-detached. Very small and furnishings a bit old/shabby , but adequate for our needs."